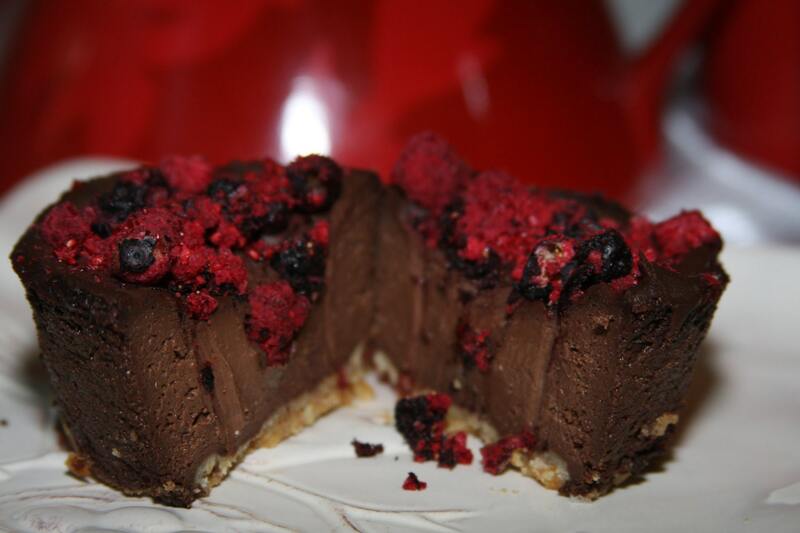 Vegan Delicious Chocolate Raspberry Blueberry baby cheesecakes, love, animal free cruelty,no eggs,no dairy. Perfect for Valentine's Day. 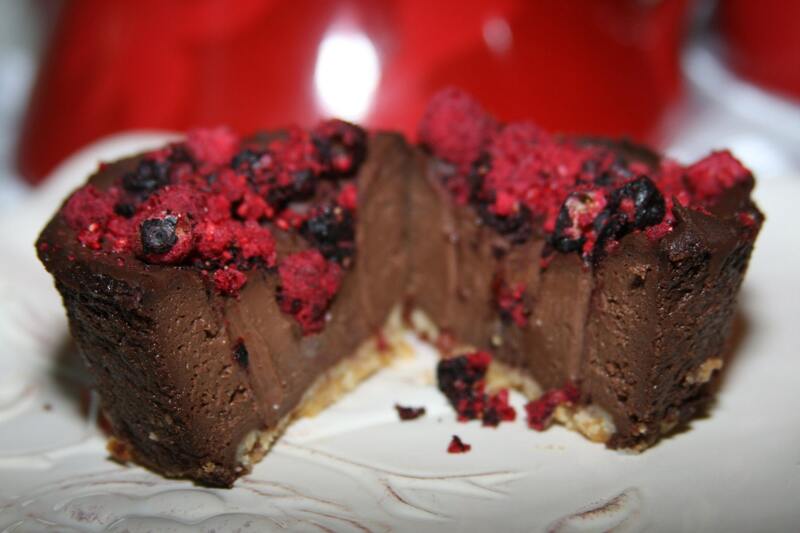 VEGAN CHOCOLATE BLUEBERRY RASPBERRY BABY CHEESECAKES BY HAPPY ZOE! 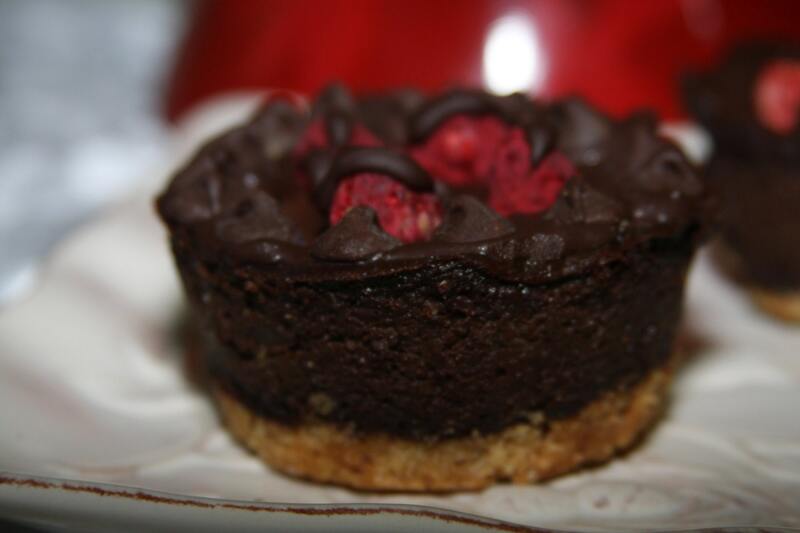 These baby cheesecakes are perfect for Chocolate Lovers. There are 5 baby vegan cheesecakes will be shipped in a box with the ice package.